In Japan, nation-wide financial difficulties are going to cause public services such as snow clearing and bridge maintenance to deteriorate. However, Japanese can avoid such a tragedy through the drastic reorganization of land use, for example by transferring populations to regional centers and simplifying land management. Unfortunately, the drastic reorganization of land use is extremely difficult, because it needs national agreement in a democratic nation. To make matters worse, almost all Japanese are uninterested in the future of public services. We have hypothesized that learning through an enjoyable game, called ‘SimRural’ developed by us, will be useful in raising national interest. 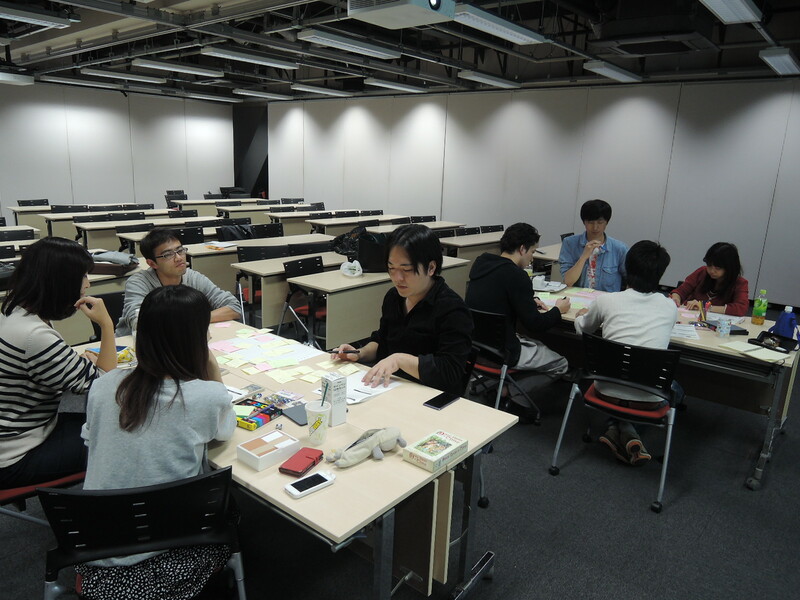 This workshop was carried out at the University of Tokyo on October 18-19, 2014. 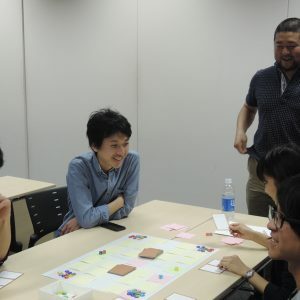 Our aim was for participants to practically improve their ability to make an educational game related to the reorganization of land use. 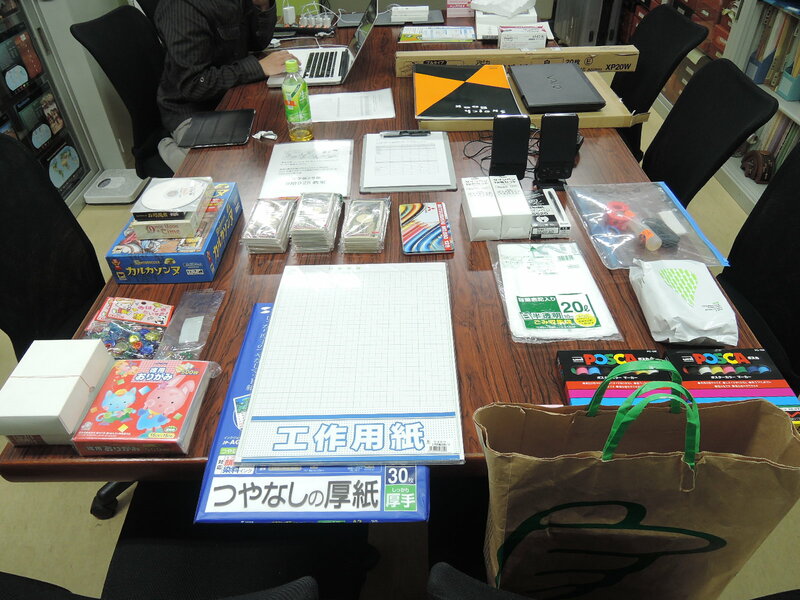 The workshop was divided into six stages. The first stage was a lecture by three specialists. 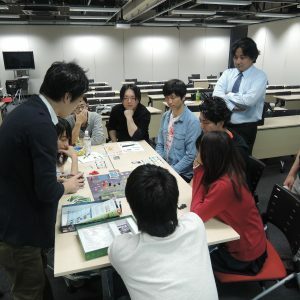 The participants learned the foundations of making an educational game from a specialist with games on the market including ‘Pandemic,’ a game which requires close cooperation from players. 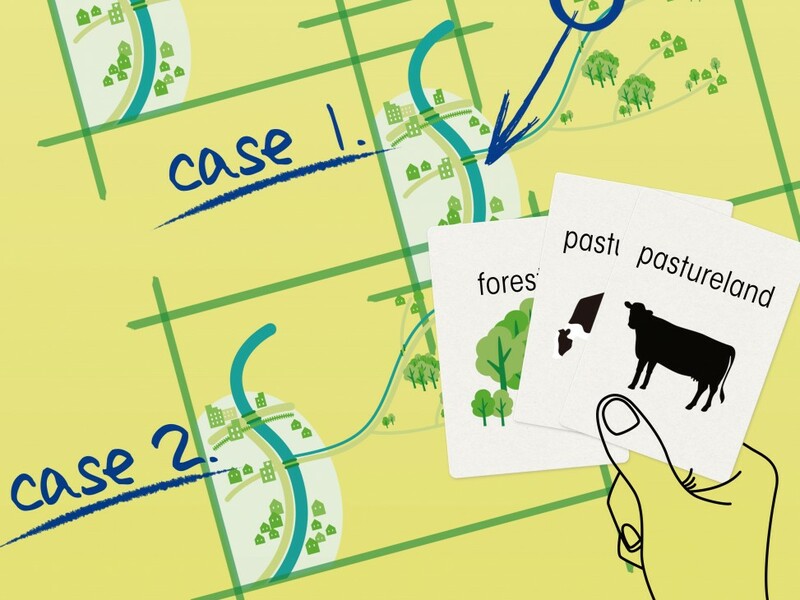 They also learned about the reorganization of land use from two specialists in rural planning. 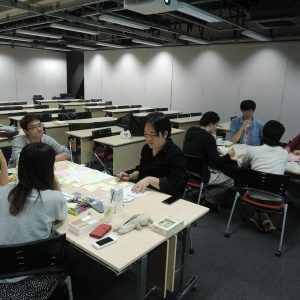 In the second stage, the participants were divided into two groups, and then each group independently made frameworks for a tiny SimRural, a card game related to the reorganization of land use. 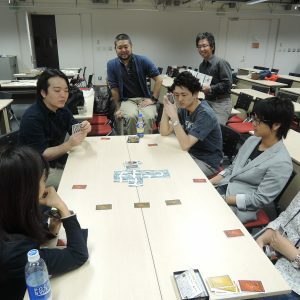 In the third stage (the second day), participants cultivated friendships by playing ‘Saboteur,’ a game on the market requiring certain powers of observation. 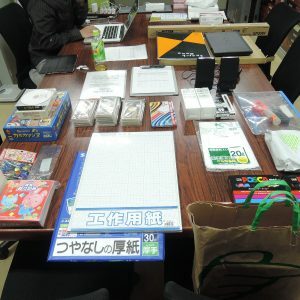 In the fourth stage, they continued making their games with materials we provided, for example thick paper, blank cards, and dice. 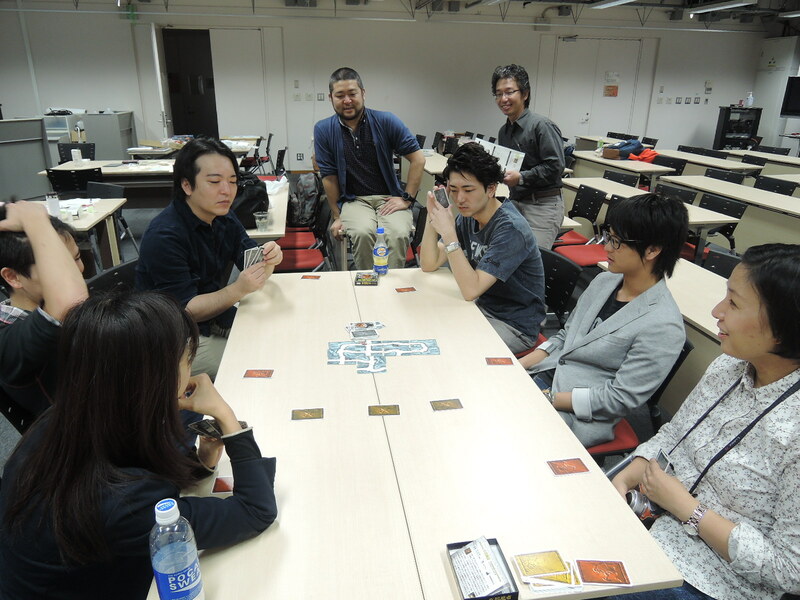 The fifth stage was the presentation of their games including unfinished ones. An accomplished game related to a wild animal and land use was practiced and appreciated by the specialists. In the sixth stage, all participants actively shared their opinions. From the positive impressions of the participants, we found that they were able to improve their abilities and motivations. 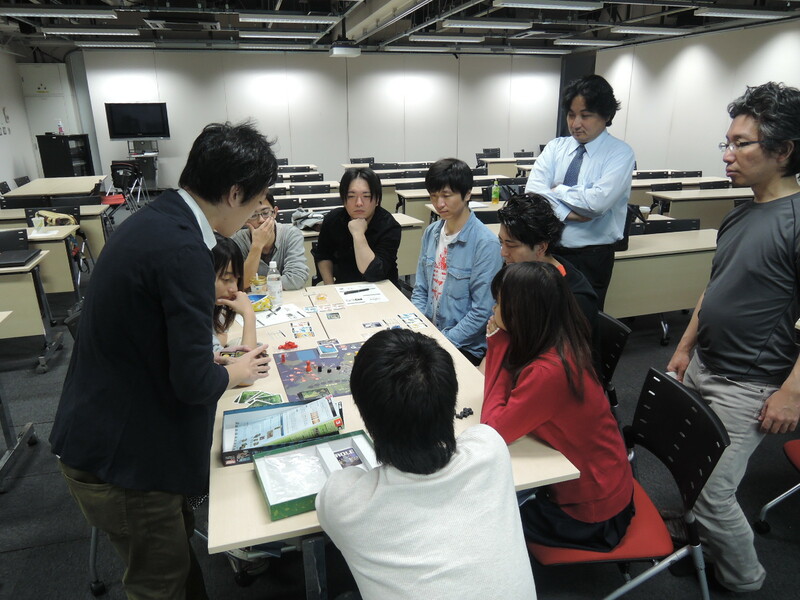 However, it should be noted that one group failed to finish developing their game. 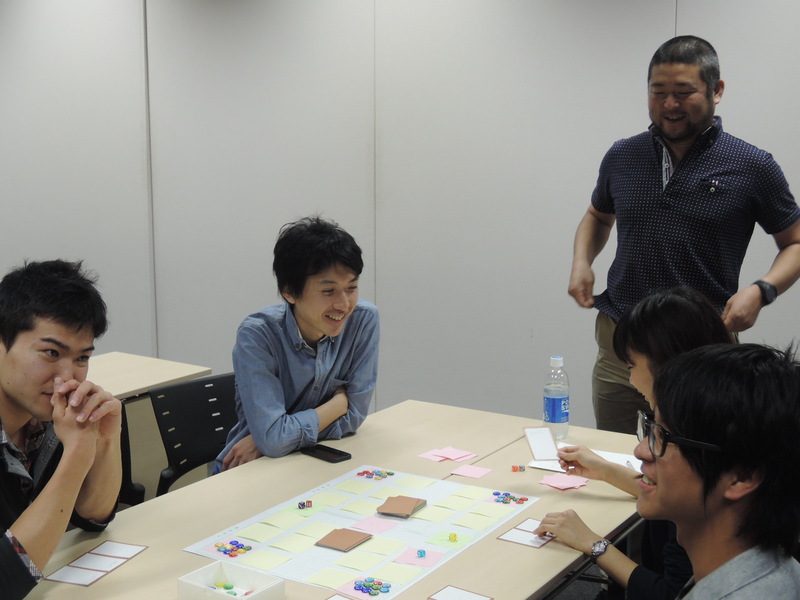 Although the specialist in education provided several models of games, making a new game was difficult for beginners. We should have asked him for simpler, easier to understand models.